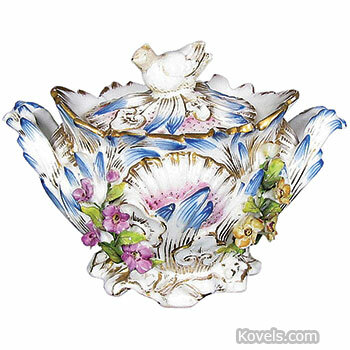 Coalbrookdale was made by the Coalport porcelain factory of England during the Victorian period. Coalbrookdale pieces were not made as practical pieces, but rather as ornamental ones to decorate mantels. Pieces are decorated with multi-colored, three-dimensional flowers.